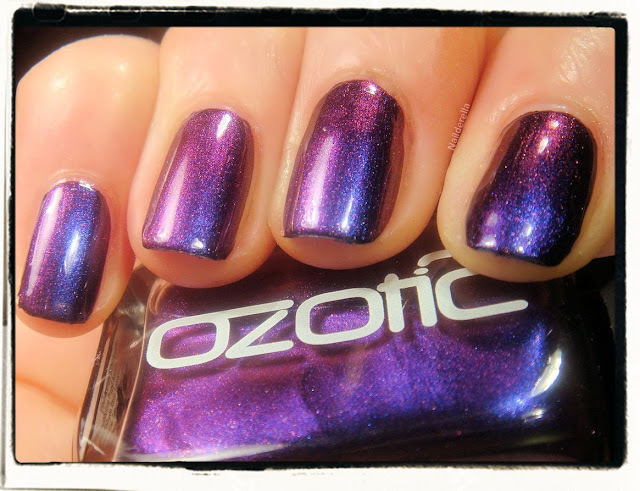 I'll go on with my multichrome series and present you today Ozotic 504! 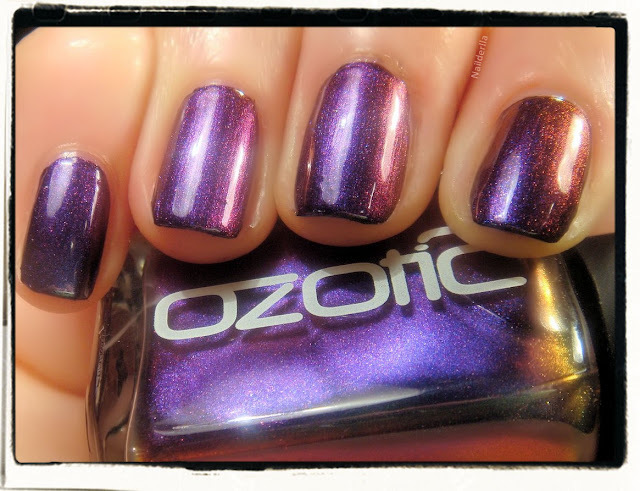 The main colors of Ozotic 504 are royal blue and royal purple. 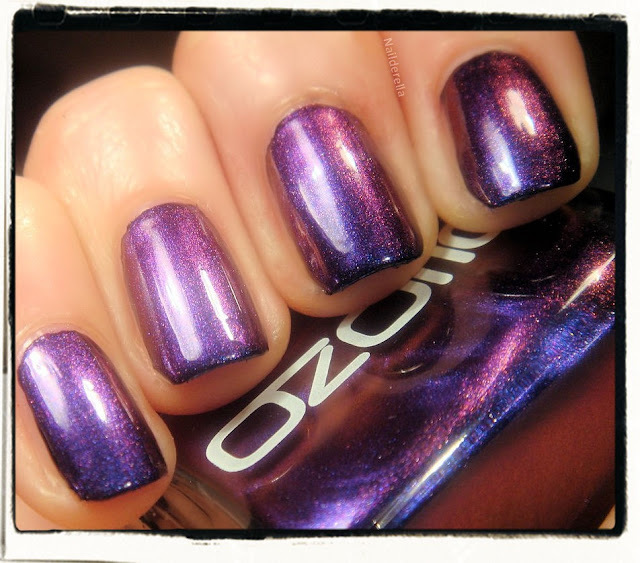 As you can see on the above picture, you can spot different kind of purples. 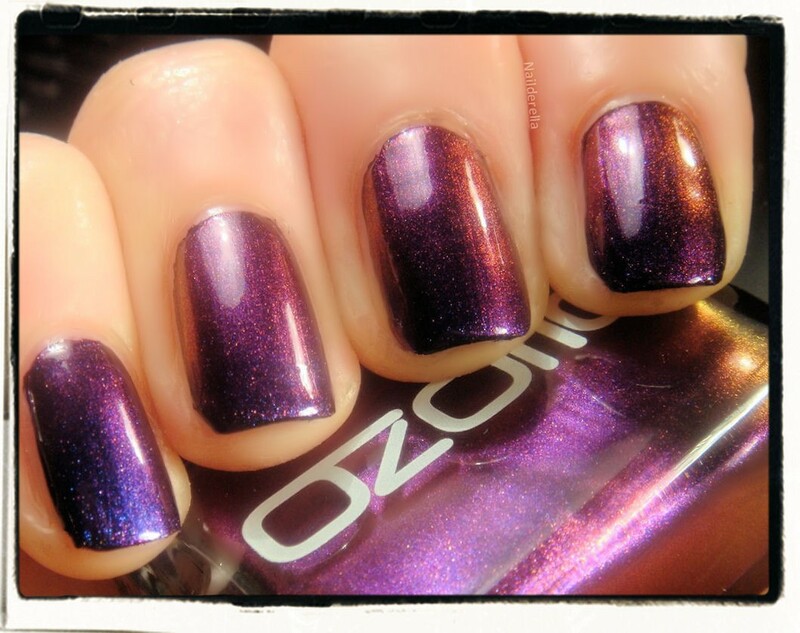 Somtimes you can see a really deep purple but also a burgundy touch. Final vedict: For these pictures, I layered 2 coats of Ozotic 504 over two coats of A-England Lancelot. 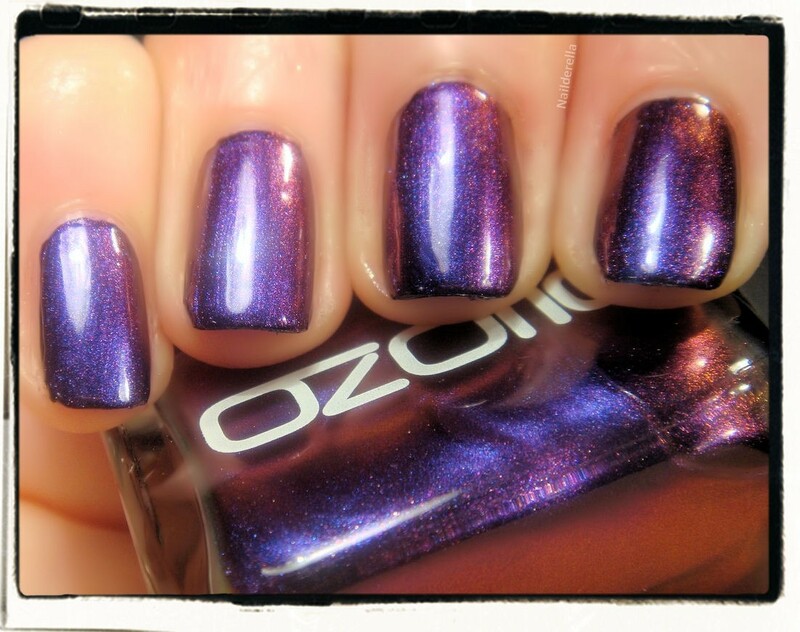 Ozotic 504 is very sheer so it's best to layer it over a base color, it enhances the color shift. 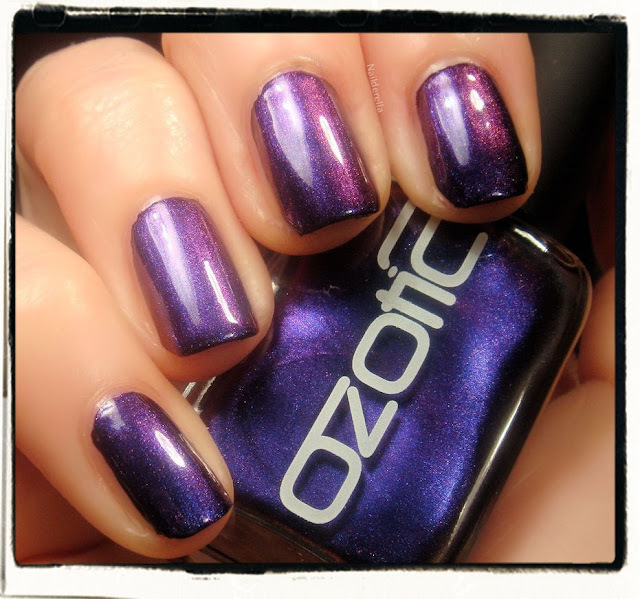 In 505, you have 2 main colors: a royal blue and a deep purple. 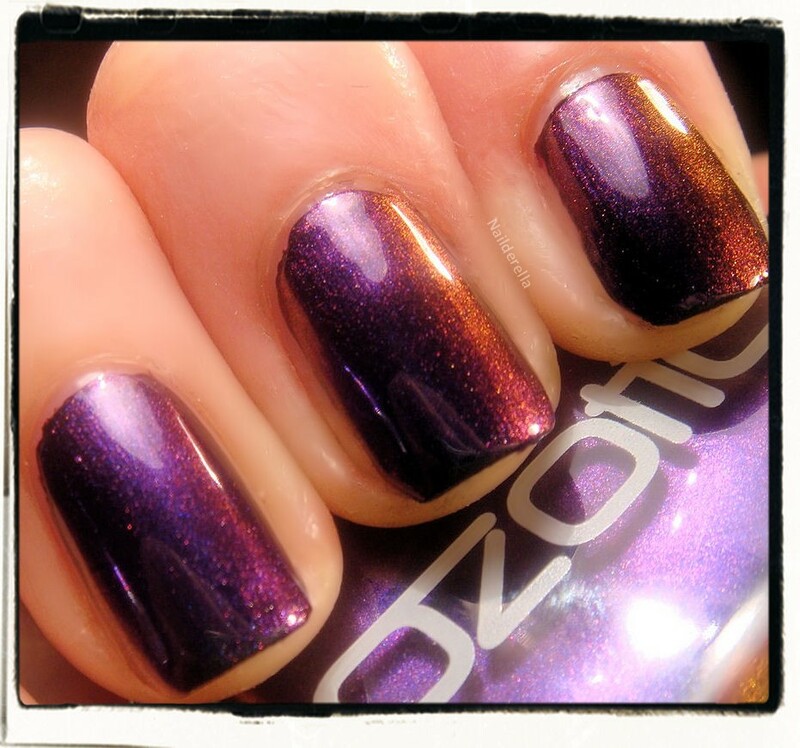 At some angles, you can also see dusky red and burgundy tones leaning toward orange! This is crazy! 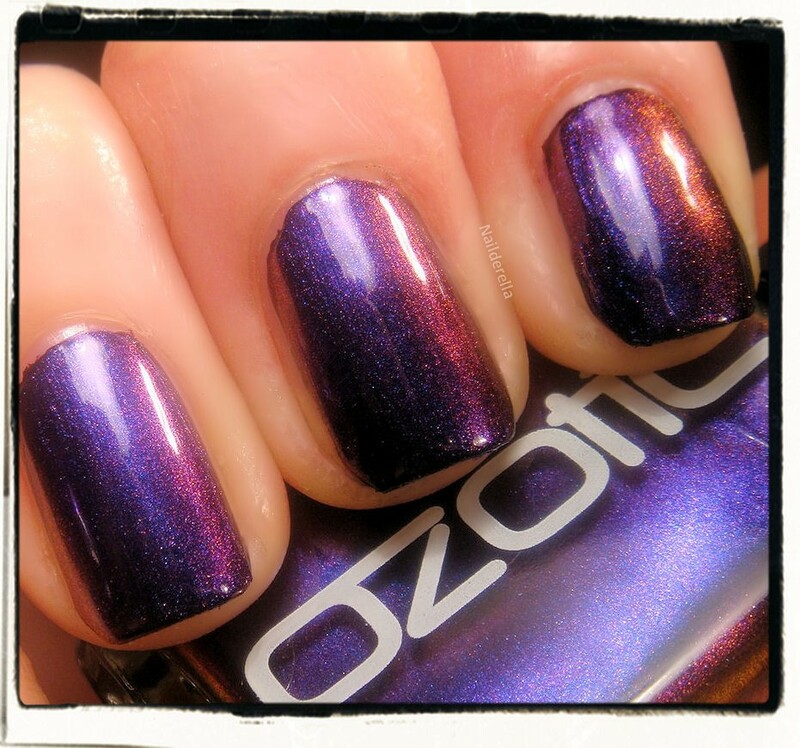 I think it's my favorite Ozotic because I really love the deep blue/purple contrast. As a reminder, 505 had a dark green-purple shift. So that's their difference. Application was really nice. Nothing particular to say unless it's gorgeous!